SugarHouse Casino at 1001 N. Delaware Ave. in Fishtown. The Pennsylvania Gaming Control Board handed out its second round of sports betting certificates Wednesday, including two in the Philadelphia area. SugarHouse Casino in Fishtown and Harrah’s Casino and Racetrack in Chester were awarded two of the certificates Wednesday, along with Rivers Casino in Pittsburgh. Harrah’s is planning a renovation that will include 40 flat-screen televisions, multiple odds boards, self-betting kiosks, and stadium seating, according to Play Pennsylvania. 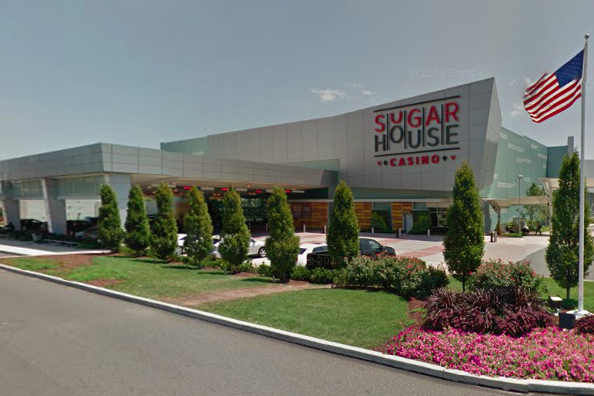 Sugarhouse is reportedly planning to complete its permanent sports book location in the spring. Earlier this month, Parx Casino in Bucks County and Hollywood Casino in Dauphin County were the first recipients of certificates. Parx and Harrah’s also were approved for Internet-based gambling, which is already legal in New Jersey, earlier this year. Gaming expansion initiatives move forward. Approvals from today's PGCB meeting include: 3 casinos for sports wagering (total now of 5) plus a sportsbook operator, 2 casinos for iGaming (total now of 9), 4 VGT establishments (total now of 20) plus 3 VGT operators (total now 9). When the casinos begin hosting legal gambling on games, Pennsylvania will become the sixth state in the country to do so, including a trio of neighbors in New Jersey, Delaware, and West Virginia. It’s become clear in recent weeks and months that legal sports gambling is going to explode when the shoe drops in Pennsylvania. Just this week, Harris Blitzer Sports & Entertainment announced a multi-year partnership between casino mainstay Caesars Entertainment and the 76ers, the Devils, and Newark’s Prudential Center.